Schwinn 470 Vs. Nautilus E616 Elliptical Cross Trainer Comparison: Nautilus and Schwinn are leaders in lower cost, high quality elliptical trainers. 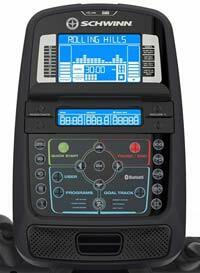 The Schwinn 470 and E616 elliptical machines are some of the most popular and best selling ellipticals on the market. 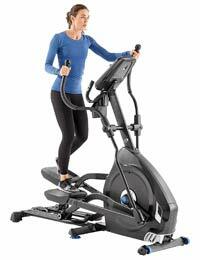 Highly rated, they both are excellent elliptical cross trainers for the home. Nautilus is the parent company of Schwinn. Below is a comparison chart of the differences between these two models. 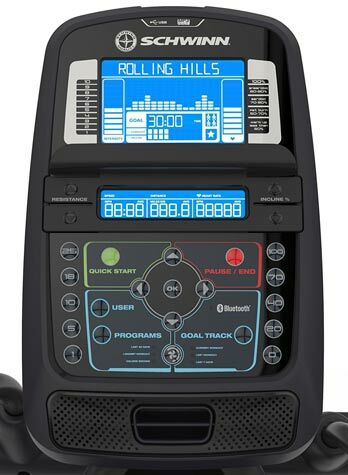 Schwinn 470 vs. Nautilus E616 Console Comparison: The Consoles are are almost identical except in styling. Both Consoles are backlit, making it easier to read, especially in dimmer light. Both are dual displays, so when you use the tablet/book holder, you can still see the other display. Both models have a motorized incline, with easy to use buttons, 29 Workout programs, Wireless Telemetry, and 25 resistance levels. You can customize your user profile, both models allow up to 4 profiles. 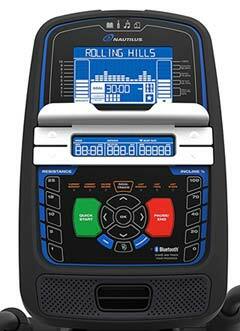 Bluetooth® with APP for your tablet or smartphone, is available on both models. The Bottom Line: As both models are manufactured by Nautilus, they are virtually identical. The main difference is the styling of the console which is different on the Schwinn 470 than the Nautilus E616. Functionality however is identical. Consumer reviews were better for the Schwinn 270. At the time of this article, the Schwinn 470 is cheaper than the Nautilus E616, which makes it the better buy, all else being equal. Both models won our BEST of 2019 Award.